Don’t Forget About Your Feet at the Gym! You don’t have to be a runner to need to pay attention to those feet. Regular ankle and foot strengthening and stretching exercises can ward off painful conditions like ankle sprains and plantar fasciitis. These exercises are easy to perform while you are resting between sets of your regular weight training. 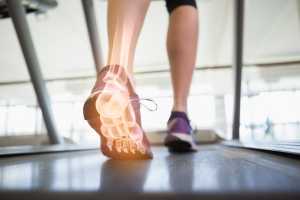 If you do develop plantar fasciitis, see these helpful tips below for treatment. If the above fails, then it’s time to see your Physical Therapist. You can visit our website, to learn more about Dedham Health Physical Therapy.